Everyone is aware of the ongoing issues of racism within the game of football and although Manchester City attacker Raheem Sterling has become the figurehead in recent times, Tottenham Hotspur fans will be well aware of the treatment handed out to our own Danny Rose and his own recent interview about the effects it has had on his own love of the game down the years. 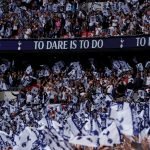 With plenty of disagreements about how to treat and combat racism in the game, one popular and more recent ‘response’ has been the suggestion that managers should lead players off the pitch to make a stronger point, and this has been addressed by a number of top flight managers, not least our own Mauricio Pochettino who sent his own strong message last month. Even England manager Gareth Southgate has been tasked with questions about the potential for walking off. One non-league side manager actually went further and did it last January as he took the Wythenshawe Town squad off during their game against Rylandson Town, causing the game to be abandoned. Yes, this is slightly different from allegations at a crowd as it involved a match official, but the Independent Regulatory Commission as per the Football Association rules, decided the outcome should be to fine him and ban him for a game – for his behaviour. Now I wasn’t there, I don’t know the facts and it’s an unfortunate side topic in football that match officials are unaccountable – anyone yet know what Mike Dean said to Poch that set him and his assistant off? Nope, we just know nothing happened to Dean and Poch served his punishment. But, we can’t use that to read into this. The process has to take its course because we have no facts to judge. However, as per the above Sky report, the charge against the assistant referee, in this case, was found to be proven under FA Rule E3 and an ‘aggravated’ breach at that. That’s a fact. We don’t know who he is but he was fined and suspended. So why in God’s name have the Football Association punished James Kinsey (Wythenshawe’s gaffer) for doing the very thing, that by implication, football now encourages and by their silence, the FA thusly condones? In response to calls for players to be taken off the pitch, have the FA communicated that would equally be a breach of FA Rule E3? Not that I know of? Have managers been told? I doubt it as they all publicly support the idea and not one (to my knowledge) has said they would accept a fine for doing it – which would further prove their point it would still be the right thing to do. Then again, it’s not like the Football Association to be wildly behind the times and yet, still reasonably consistent in their absolutely bat**** application of the rulebook. Not sure the organisation can be described as simply unfit, a week rarely passes where they take a decision that seems utterly obese. 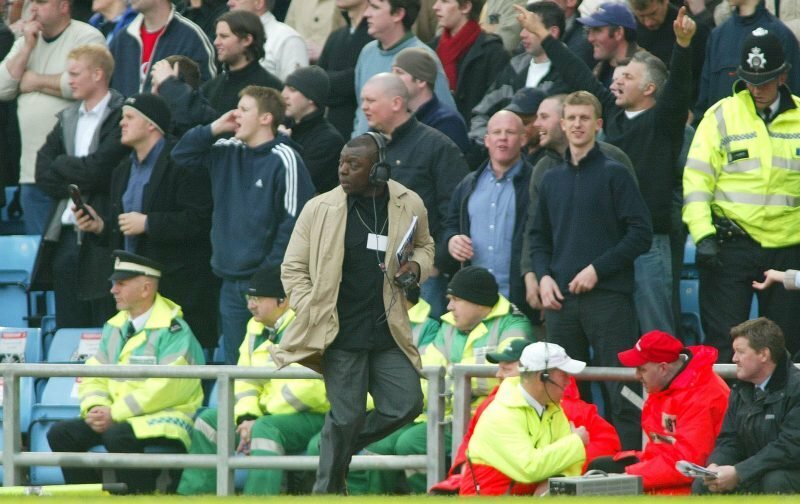 So fair play to former player Garth Crooks here, as he’s stepped up and done more than simply talk and highlight the unfairness of the decision on the telebox this last week, he’s pocketing the fine and taking it up with the FA directly along with Kick It Out. This is far from isolated though, as this report from the Burnley Express shows. The team that walked off were fined £165 yet the opposition side only received a fine of £160 for the alleged behaviour of their fans. Maybe it’s time for somebody at FA Towers to get off the well-paid gravy train and actually lead here, you know, like a national organisation should….just an idea – they normally pay consultants for that kind of thing.